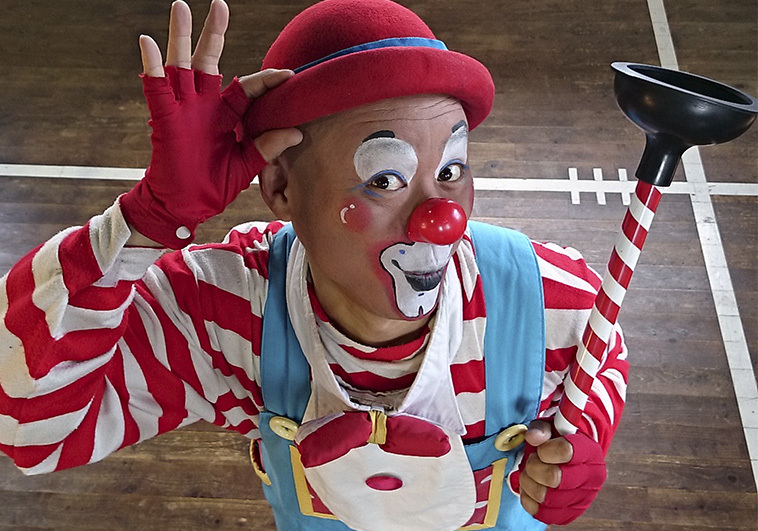 Appearing originally at WMDF as part of the trio “Africlown”, Chappy is back again to repeat his solo role. He goes anywhere in the world to deliver smiles. In 2010, he was part of the opening of the “World Clown Festival in Japan” that featured Patch Adams. In 2011, he received a license from the nonprofit organization “Japanese Hospital Clowns”, and visited hospitals in the Ukraine and Belarus. He also participated in the “World Clown Association” events held in New York in 2011 and in Chicago in 2014. He often appears on TV as well as touring Japan’s many festivals.